OK. I see a lot of Ubuntu Fedora fans! I personally have been using Manjaro for the last 3 years as my primary OS. For learning, gaming, and everything else. ROLLING RELEASE - Meaning you have to install it only once and that is it. You don’t have to install a new OS every time it releases the new version (like Ubuntu and Fedora). ARCH BASED - This means, you will get the latest packages in around 2 weeks (if you’re using the Manjaro stable repo). This means all your favourite desktop environment and packages will have the latest version always. You don’t have to EVER wait for an year or 6months to get your latest version of desktop environment (Ubuntu used to keep me waiting for 1year when I used to use GNOME in my LTS release). You will have to use a PPA a which is unstable if you want to use it before. LESS BUGS - If you are like me and like to stick to stable repos and releases, point release has always have the problem of having a buggy system. Only the important softwares will get updates. For the rest of it, you will have to wait until the next big release. This is resolved with Manjaro, all the packages will be updated to stable in around 2weeks and you will always have an up-to-date system! STABLE - I found Manjaro more stable than Ubuntu and definitely light years ahead of Fedora! There is a reason why Manjaro has been #1 in distrowatch.com for the last one year. PACMAN - People who have mentioned APT is amazing should definitely use pacman as their package manager at least once in their life. Since Pacman was made for arch which is more for experienced, it was made more flexible and easy to use. And I love using pacman! AUR - Arch User Repository hosts softwares for almost everything! The better explanation for AUR is PPA implemented better. Just be careful enough to read and install a package which is trusted by the community and you will be fine. COMMUNITY - How did I forget to mention the community!!? Unlike Arch community, Manjaro community is more warm, patient and helpful. If you have a problem with your system, post it in the forum and you will get help soon for sure! MHWD ( M anjaro H ard W are D etection, for detection of free & proprietary video drivers will detect and install all the drivers needed to make your hardware be used to the best! The only thing that I really used to miss from Manjaro (being arch based) was that it doesn’t have well packaged proprietary softwares (like .deb and .rpm packages) of popular softwares we use like slack, google chrome etc. But the good news is, you can install them using http://flathub.org/ and http://snapcraft.io/ and boom! You got that issue solved as well! And most importantly, it is fun and rewarding once you use Manjaro, I learned and have been having fun for the last three years! It is just amazing. Why don’t you give it a try? And let me know how it goes! I go with a Gentoo. Everything is highly customizable and the heart of it is a unique, well-supported, source-based package manager (everything get compiled directly for your needs). However, the it needs some time to learn how things work under the hood to be able to manage occasional problems. Kubuntu LTS. I am using it for a few years now. Rolling release - no waiting ages for the latest package updates. In terms of what I actually use, as opposed to what just seem theoretically cool, I’d have to say Ubuntu is my go-to. The apt package manager is fantastically implemented, at least for me. I’ve fiddled around quite a bit with Kali, seeing what I can do to some VM I set up, but that’s just a playground, not a home. 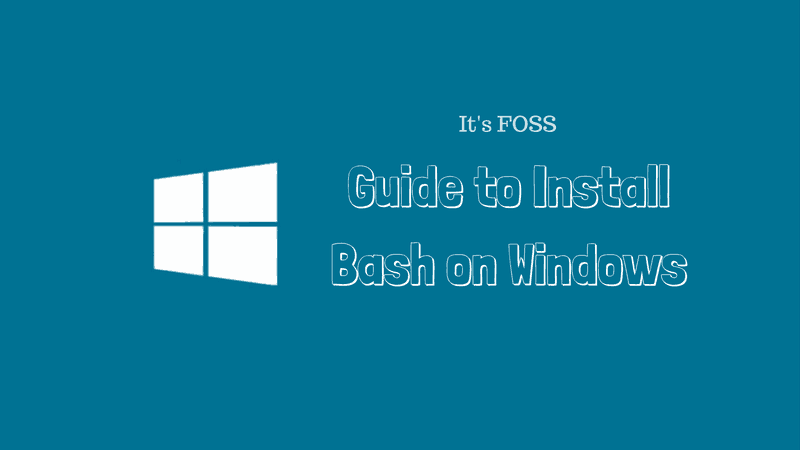 Screenshot guide to show you how to install bash on Windows 10. 18.10 Cosmic Cuttlefish has a great theme. Here is the Linux Distro Family tree. Chose your linux distro and reply why you like it. I like Ubuntu Mate on desktop. I also have downloaded this chinese distro that starts with a D for a couple of weeks ago but haven’t got time to free up my SSD so I can install it for a test drive. When I first started using Linux years ago I used Mint, and I found it to be - in my opinion - the best for someone using Linux for the first time, a beginner, someone who’s always been used to Windows. These days, I find Kali to be the best. Kali is best for security. Wasn’t’ meant for beginners, so those new to Linux should start on a simpler distro, like Mint. It’s a long time since I haven’t tried any Linux distros. Don’t know if I’m just lucky but Windows always works great for me. Anyway, some months ago I decided to give another try and test some distros. Fedora 29 - Really nice. Deepin - Great and with a great UI. Manjaro Deepin - Great distro and with the nice Deepin UI. I’m using the Manjaro Deepin right now, it was my best experience so far with Linux. Found a way to sync One Drive and Google Drive with no problems (sure, a lot to do and a lot to read, but it’s working), the UI is great and it’s almost stable as my Windows 10 install (No joke, i often see more apps crashing on Linux). I’m waiting for Ubuntu 19.04 to check the Budgie version, then I’ll decide between Ubuntu and Manjaro. I’ve Ubuntu installed on my machine. Due to reliability and low size I’m using it. It has very simple and clean UI. I love the KDE desktop, and Ubuntu just makes life easy. I used Fedora for a couple years, then OpenSuse. I started using Kubuntu about a year ago and by far it’s the easiest to install software and get things working in my opinion. I just started learning Kali Linux on a Raspberry Pi3 as a side project too. I am using Ubuntu Bionic. For IE testing, I have Windows 7 (IE11) and Windows 10 (Edge) virtual boxes imported locally. Whenever I need to test site on those machines, I fire them up and get the job done. I am completely satisfied with Ubuntu. I really like Arch Linux. But since I could either spend all day in the Arch wiki or all day learning on freeCodeCamp, I use Manjaro. @thisIsWhat summed up Manjaro very eloquently, so no need for me to say anything else!